First published in 1853, Twelve Years a Slave is the narrative of Solomon Northup’s experience as a free man sold into slavery. 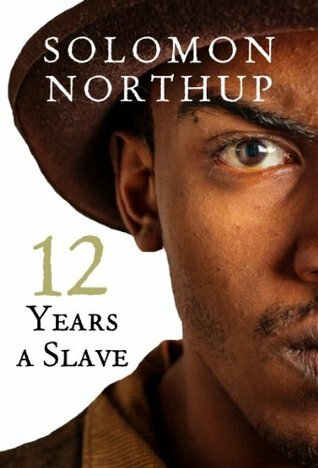 Northup’s memoir reveals unimaginable details about the slave markets, the horrors of life on a plantation, and the dreadful day-to-day treatment of the slaves from the perspective of a man who lived more than thirty years as a free man before being forcibly enslaved. I bought this on an ebook sale after seeing the movie. This may be one of those rare instances where the movie was better than the book for me. While Northup’s story is absolutely an important and necessary account for our records of this dark and shameful part of American history, I didn’t find I was as shocked by the book as I expected to be—no doubt in large part because I had seen the film. The language is a bit stiff and dry. Historical books like this, with antiquated language—fiction or non-fiction—are tough for me. I just feel so removed; I don’t know. There are several chapters on the slave’s work duties and processes for the plantations’ products, which I admit I glazed over at times. But, I was astounded and moved by many passages. The psychological anguish suffered by Northup is palpable; these are the sections that are most affecting. I also feel unqualified to comment much, being a white “millennial” (p.s., hate that term). I can have feelings of outrage, empathy, etc., but I don’t really understand. I never will—I, personally, just can’t fathom how the minds of those in the business of slave trading and owning worked. Northup, though, offered an astoundingly balanced view, though, on his experience and the inhuman, reprehensible “peculiar institution” of slavery. Twelve Years a Slave is my first of twelve books read for my 2015 Ebook Challenge. Read from January 26 to 31, 2015. This entry was posted in activities, books and tagged 2015 ebook challenge, american history, ebook, history, non-fiction, society, survival by kristin @ my little heart melodies. Bookmark the permalink. I’ve got this one sitting on my kindle and haven’t gotten around to it yet, either. It’s a pretty fast read… if you gloss over some stuff like I did (mentioned in my review). However I don’t really get Kindle’s “reading speed” gauge—it told me it’d take like 9 hours to read 149 pages! LOL. I probably just left the first page open and did something else for a while.